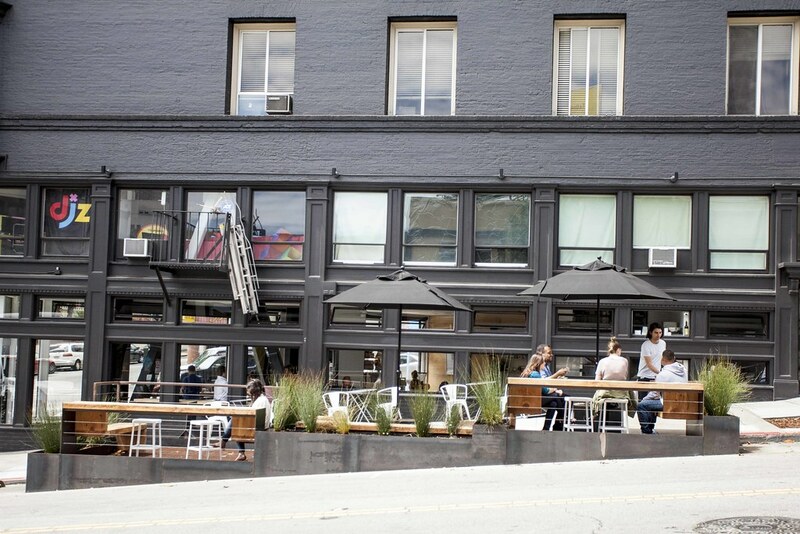 Reveille Coffee Parklet by Cameron Helland and Sagan Pierchota Architecture. Photo by Samuel Heller. A downtown San Francisco overlook from the historic North Beach neighborhood. 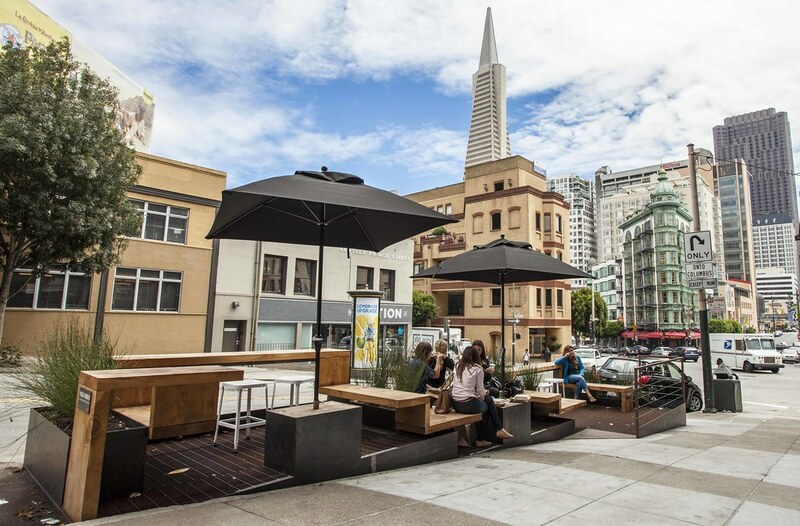 The Reveille Coffee Parklet is situated on a sloping segment of Kearny Street in North Beach that overlooks incredible vistas towards downtown. Its location provides sweeping views of the hilly North Beach area and gives residents and visitors surprising and delightful glimpses of San Francisco’s varied bayside location and complex topography. 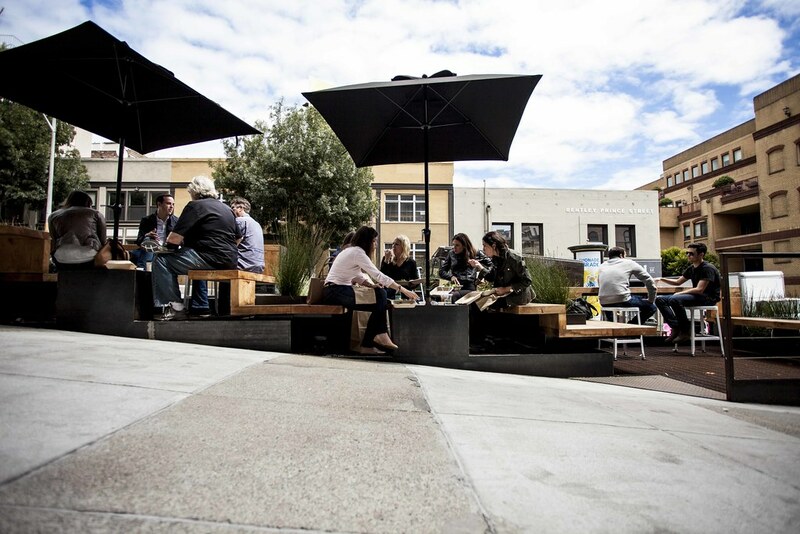 Creating an accessible parklet design was a key challenge on this sloping site. Most parklets are positioned on streets with minimal slopes, making it easier to provide adequate access for wheelchair users. 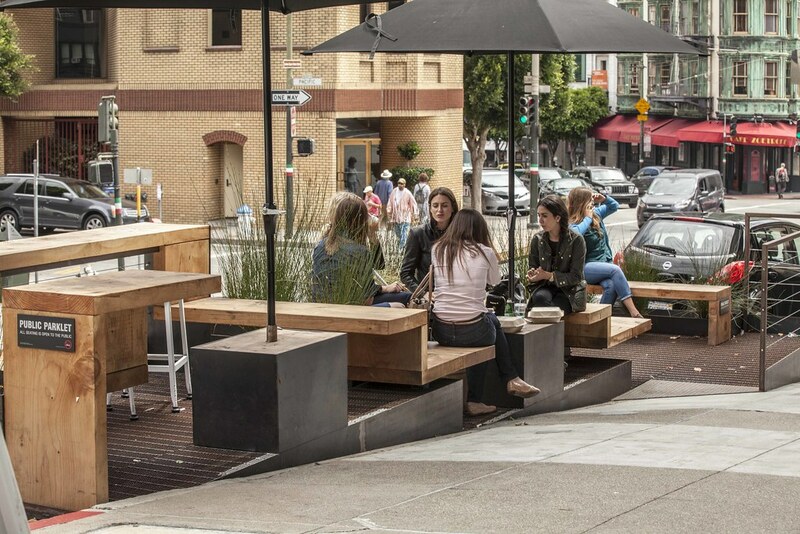 The Reveille Coffee Parklet, however, demonstrates important design solutions that provide wheelchair access on sloping streets and sets precedence for future curbside projects in the City.